Both a passion and a calling for Neal, real estate became the arena where Dan set an ambitious goal—to create unique living spaces that stimulate learning and inspire personal growth, but at an affordable price for area students and young urban professionals. The Northwest urban architecture of Neal’s Paradigm Properties is not simply stylish—it is functional and sustainable. 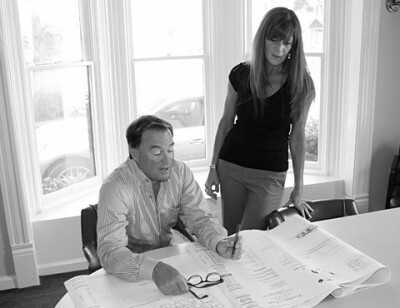 With ten major housing developments under his belt and three additional projects underway in Portland and Bend, Neal has established a name for himself in the real estate community with a reputation built on high-quality living spaces, all with architectural flair, premium features, and a respect for sustainability and environmental stewardship. Green building practices aren’t just good for the planet, they are good for the folks who live in the buildings. As a result, the air is cleaner, more healthy and less susceptible to the build-up of mold particulates which is a common problem in the Pacific Northwest. Second, energy costs are lower because the buildings are more energy efficient. By choosing to reside at a Paradigm property, you are supporting a company that places a high value on sustainability. With several of Neal’s buildings attaining the highest standard of quality through LEED certification, Paradigm’s properties have set the bar higher for building practices throughout the surrounding area. Paradigm Properties holds the belief that a person’s living environment profoundly affects their outlook on life, and by extension, that an optimal living environment can favorably impact one’s prospects for success. By providing standard features like large (and plentiful) windows, granite counters, higher ceilings, stainless steel appliances, custom cabinets, and washer and dryers in every unit, Neal believes residents can achieve success more easily when allowed to focus on their core responsibilities. Paradigm provides the ingredients necessary to create living spaces which inspire students to achieve their potential and to avoid the negative distractions so commonplace in the college experience.